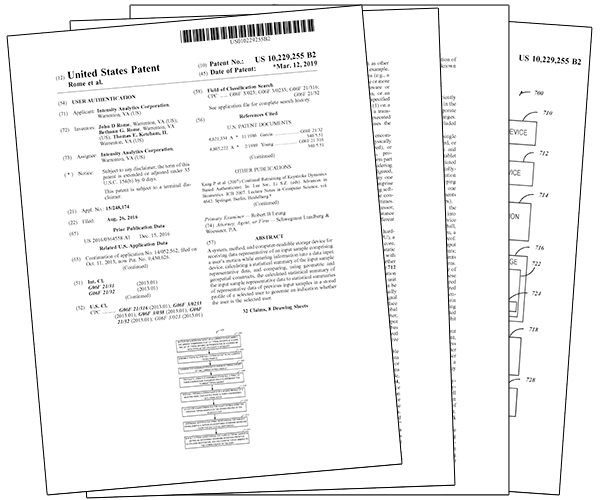 These additional patents expand our portfolio of Intellectual Property to include wearables, touchscreens, IoT, and dynamic passwords. Along with our previously issued patent, they represent numerous techniques for using performance and effort to identify people, offering security while maintaing privacy. 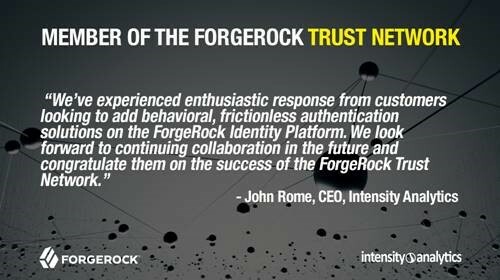 Intensity Analytics is proud to have been one of the first to integrate with their Intelligent Authentication platform, bringing the capabilities of TickStream.KeyID® together with the ForgeRock Identity Platform. Intensity Analytics is an official supporter of this declaration proposed by the UNESCO Internet Governance Forum (IGF) on developing common principles for securing cyberspace. 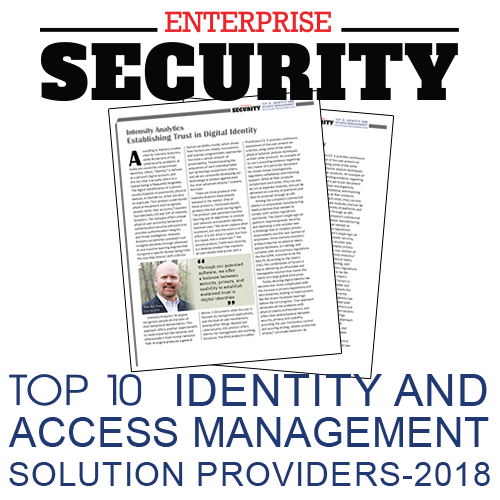 A panel of CEO's, CIO's, VC's, and analysts gathered by Enterprise Security Magazine have selected TickStream® as one of the Top 10 Identity and Access Management Solutions. As the editorial board noted, Intensity Analytics establishes trust in digital identity. not account habits, linking activity to physical people: whether known or anonymous, to establish trust and identity. A username and password is not an identity. TickStream.KeyID recognizes people, not just accounts. It's real behavior analytics about the person at the keyboard. Establish and maintain trust in digital identities. 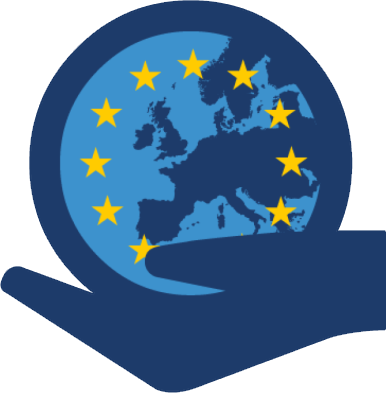 The massive General Data Protection Regulation (GDPR) is now in full effect! Learn how TickStream® addresses your needs to meet with these new privacy and security requirements. TickStream® is available through standard iApp® templates that can be deployed on F5® platform products in minutes. TickStream® is available as a Credential Provider that can be added to an existing ADFS server using standard Forms Authentication in minutes. TickStream® is available as a Credential Provider that can be added to an existing Windows computer, for a seamless user experience. 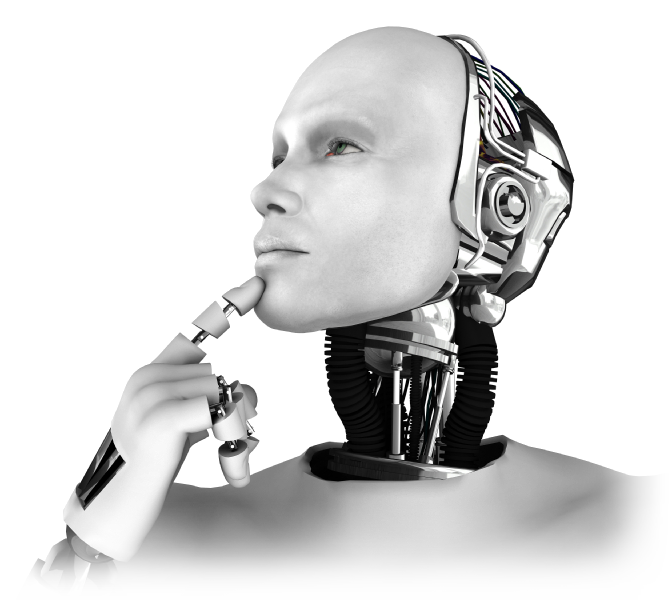 Meeting the challenges to cyberthreat intelligence by recognizing the people performing the behavior. Physical behavioral analytics for second-factor authentication, using only the keyboard. Using the cadence and habits (not characters) of the user when entering their credentials, it is frictionless, employs no private data (PII), and requires no special hardware. Dynamic user validation for continuous authentication, insider threat analysis, non-repudiation and authorship verification, either based on windowed streams of activity and context, or discrete analysis for self-serve account and password management. 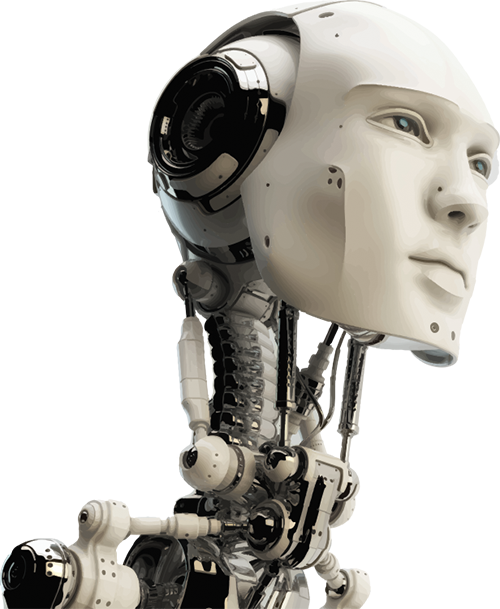 Automates the collection of how computers are used, by application, process, person, and machine. This metadata is mined for productivity and telework analysis, spend management, forensics, chain-of-custody requirements, and regulatory compliance. Merry Christmas & Happy New Year from all of us at Intensity Analytics.